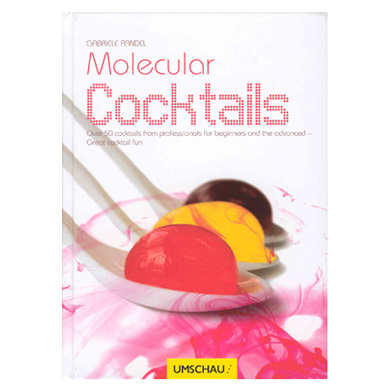 This book is designed to be used with the Biozoon brand of molecular gastronomy ingredients - however you can also use with our Special Ingredients range of texturisers. You will need to interpret the Biozoon brand names into the Special Ingredients names - so for example Agarzoon = Agar Agar. Container 50 amazing cocktail recipes. Designed for Biozoon ingredients but can be used with our Special Ingredients range. Biozoon GmbH was founded in 2001 by scientists and engineers in Bremerhaven, Germany. In 2003 Biozoon moved to its new quarters - the newly established BioNord Biotechnology Centre. In 2006, we succeeded in launching our first products under the brand name of texturePro - with tremendous results. This made further growth possible so that we once again had to seek larger premises. In April 2009, we moved into the new extension - BioNord II. We now have at our disposal state-of-the-art office and manufacturing facilities covering over 600sq m, which allow us to produce highest quality products.